Rebecca Martin and Guillermo Klein’s THE UPSTATE PROJECT available to pre-order. The Upstate Project is a landmark collaboration that unites a group of world-class musicians who’ve already distinguished themselves in their individual creative pursuits. Rebecca Martin is widely recognized as one of her generation’s most talented and versatile vocalists and songwriters, effortlessly bridging the world’s of jazz and songwriting while working alongside some of the music’s most esteemed players. Argentine-born pianist-vocalist-composer-arranger Guillermo Klein is renowned throughout the jazz world for his inventive, eclectic compositional approach and his distinctive harmonic sensibility. Their rhythm section is composed of bassist Larry Grenadier and drummer Jeff Ballard, two of jazz’s most in-demand players. The four participants’ distinctive talents interact in unexpected and inspiring ways on The Upstate Project, which offers exquisite, gently intoxicating melodies, vivid, haunting lyrics, and effortless instrumental interactions. Martin’s compositions “On A Sunday Morning,” “To Up and Go” and “Later On They’ll Know” (the latter co-written by Ron Sexsmith) embody the lyrical insight and melodic craft for which she’s become known, while Klein’s “Llorando Fuerte (Like Every Other Day),” “Ahi Viene El Tren (Just As In Spring),” “Outside It Rains for Them” and “Hora Libre” (Thrones and Believers)” demonstrate his knack for melodic resonance while merging his Spanish lyrics with Martin’s English ones. 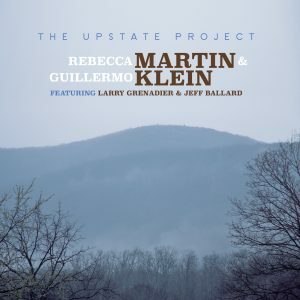 The Upstate Project—so named due to the partnership’s origins in northern New York state—began to come together when Martin contacted Klein to explore the possibility of making music together. “Guillermo is someone that I hold in high esteem,” Martin states. “Working with him was something I had hoped to do at some point in my career. I am always seeking a real challenge in music, and I knew that his point of view would provide that. When I reached out to him, I learned that he had just returned to the States from Argentina and was living in upstate New York, only about 40 minutes away from where I was. Like the old days. It was only natural that Martin’s husband Grenadier and frequent collaborator Ballard would come on board to complete the quartet. The musicians allowed the material to develop in its own time. 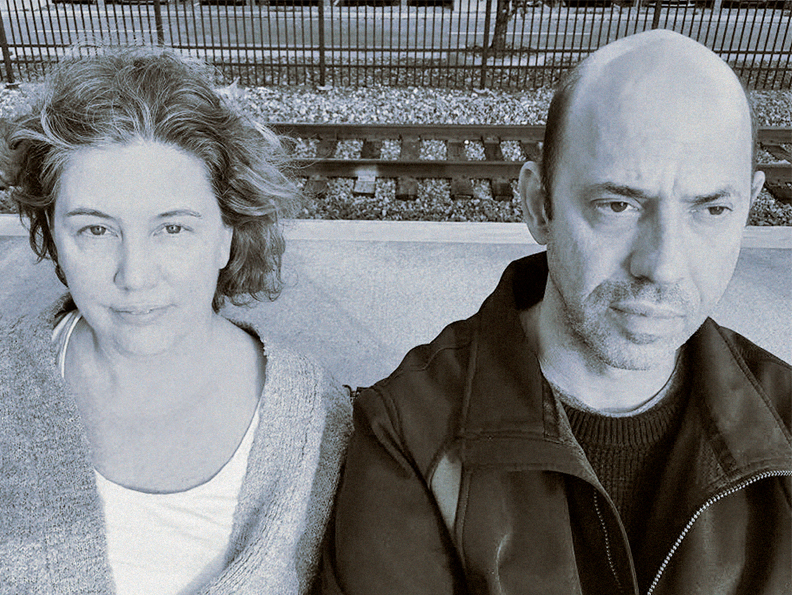 The Upstate Project’s songs are a genuine collaboration, allowing Martin and Klein to explore different aspects of their talents. Having allowed The Upstate Project’s birth cycle to unfold in its own time, Martin and Klein are keeping an open mind about the possibility of future group activity. http://rebeccamartin.com/wp-content/uploads/2015/06/rm04.png 0 0 rebeccamartin http://rebeccamartin.com/wp-content/uploads/2015/06/rm04.png rebeccamartin2017-03-10 15:35:262017-03-11 00:17:42Rebecca Martin and Guillermo Klein's THE UPSTATE PROJECT available to pre-order.